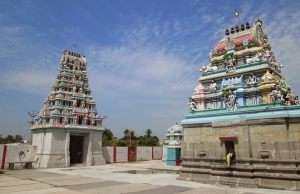 There are a number of ancient temples in and around the city of Chennai. 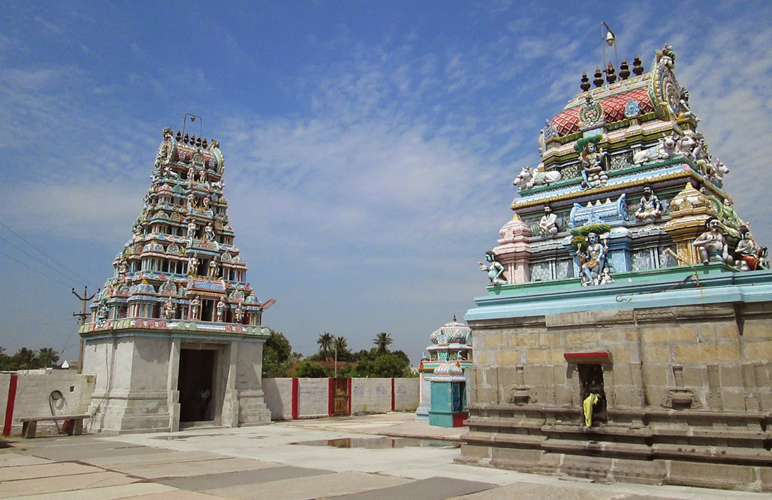 This month we will visit Tirumazhisai, a suburb of Chennai. This place is known for Lord Jagannatha’s temple and is also the birthplace of Tirumazhisai Azhwar. There are totally three temples for Lord Jagannatha in India. The first and the most famous one is at Puri and is known as Uttara Jagannatha Kshetra. The second one is in Tirupullani and is known as Dakshina Jagannatha Kshetra. The third is the one in Tirumazhisai. As Tirumazhisai is in between Puri and Tirupullani, it is known as Madhya Jagannatha Kshetra. 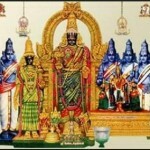 Here, the Lord is found to be in a sitting posture along with his queens Satyabama and Rukmini. Saints Markandeya and Bhrigu are also found in the sanctum sanctorum. The temple legend says that the saints Markandeya and Bhrigu performed severe penance in Tirumazhisai and the Lord, pleased by their efforts, appeared in front of them. Sri Muralidhara Swamiji has composed an exquisite piece extolling the beauty of Lord Jagannatha in Tirumazhisai. The lyrics and its meaning are presented here.